My journey to become a better endurance cyclist while trying to maintain a balance with my type 1 diabetes. My name is Robert Woolfson I am a Type I Diabetic living in Israel. I was diagnosed aged 27, I caught it early because I recognised the symptoms from when my brother was diagnosed aged 13 (12 years earlier). I have always been into cycling but recently I have started taking it more seriously. My goal is a not just a healthy lifestyle but being able to take part in some endurance events. Having Diabetes will make this more of a challenge. One that I will document here. 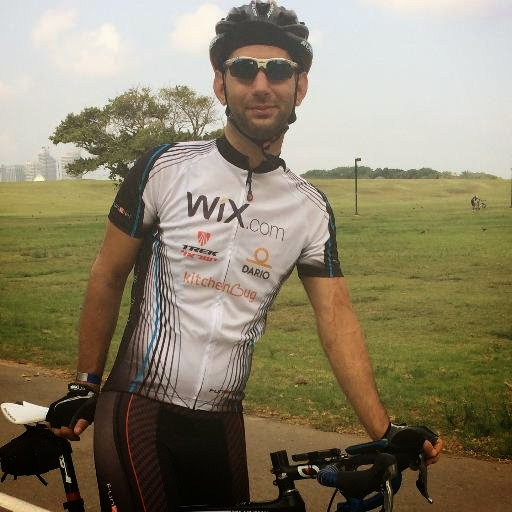 I currently race in Israel for X-Team and I also am a member of TeamBloodGlucose, and organization dedicated to getting people with Diabetes exercising more and showing that Diabetes doesn't stop us from doing anything. Yes. They are my inspiration, I have a link to their site in my links section. I didn't know you began a blog, nor did I know you began riding seriously. So firstly, be careful on the roads - we both know that madness of israeli drivers and I do not fancy referring you to my friends to claim for any PI. Secondly and rather coincidently I have just agreed to take part in this: http://www.yorkshirewarrior.com. anyway, will share and would love to hear how to manage the diabetes in such strenuous exercises. I am involved with the StackOverflow question and answer site, from there I got involved with the rest of their network. I spend a reasonable amount of time on the Bicycles SE site. So I thought to myself it would be great if there was one for Diabetes. I checked their 90 current sites and found that there wasn't one. So I went to the place where you can propose new Q and A sites. No one had proposed a site like this. So I did. Then I thought how can I publicise this. So I started a new twitter account. That's where things got really interesting. I followed a bunch of cyclists and cycling related things, and some diabetic related things too. I started tweeting and I found this amazing thing. The DOC - Diabetic online community. There are a bunch of really active twitter uses, many in the UK, who I have been interacting with lately. One of whom wants me to set up the Israeli branch of his project #ILDOC, he is #GBDOC. We are hopefully going to host our first tweet chat on wednesday night 21st and 9pm Israel time. If you have twitter come join. In the end I had a really fun time yesterday with World Diabetes Day, blogging and tweeting. Trying to publicize my two other projects. What did you do for World Diabetes Day? That thing you are taking part in looks hard. Good luck with it and watch your sugars. Regarding my progress follow my blog and follow me on twitter @type1cycling, get involve in the DOC especially #GBDOC and #ILDOC. Quick post about training with a power meter.